In a world where cars dominate the roadways, and the air quality keeps you indoors, one group of brave cyclists challenges the status quo and American transportation industry to a duel against time. When all you have are your lungs, your heartbeat and electrolytes, can you dominate urban sprawl, fossil fuel and a big flying hunk of steel? CARMAGEDDON. Starring the Wolfpack Hustle versus JetBlue. COMING THIS SATURDAY, JULY 16TH. ONLY ON LOS ANGELES ROADWAYS. 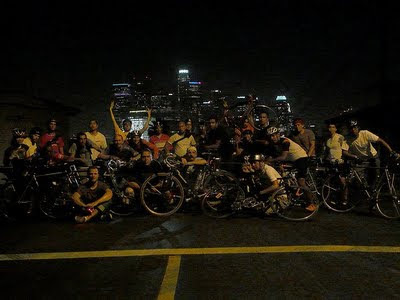 Click here for more information about the Wolfpack Hustle's challenge to JetBlue and when all hell will break loose in Los Angeles when the 405 closes this Saturday, also known as Carmageddon.